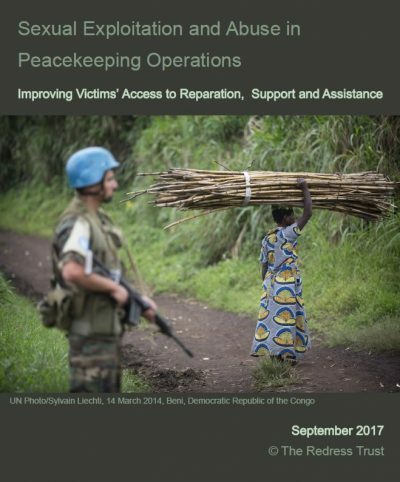 This report analyses the steps taken by specialist bodies, UN organs and agencies as well as other international organisations engaged in peacekeeping to address victims' rights and needs following allegations of sexual exploitation and abuse by peacekeepers in countries including the Central African Republic, the Democratic Republic of the Congo and Haiti. It calls for fundamental changes to the way in which these cases are handled, with particular need for the recognition of victims right holders, rather than vulnerable recipients of charity or benevolence. REDRESS, together with the World Organisation against Torture, the International Federation for Human Rights, and Fair Trials, sent this letter to the European Parliament Delegation for Relations with Iran, in order to raise serious concerns about the well-being of a number of European dual nationals detained in Iran. In this submission, REDRESS provides observations concerning the provision of legal aid for victims at the International Criminal Court (ICC), so as to ensure their meaningful and effective access to justice. These comments build on and complement REDRESS's previous recommendations in 2012, and are submitted to the Registry in order to assist the ongoing review of the Court’s Legal Aid System (LAS). These comments have been developed on the basis of REDRESS's extensive experience working with victims at the ICC, and includes interviews with legal representatives of victims and civil society actors. The African Union adopted a resolution in 2016 establishing the Trust Fund responsible for collecting and disbursing reparations to victims of ex-Chad dictator Hissène Habré. The Trust Fund has been mandated to search for and recover Habré’s assets and to seek voluntary contributions from States and other willing parties. This note – prepared by REDRESS and the Association Tchadienne pour la Paix et les Droits de l’Homme (ATPDH) – seeks to support the establishment of the Trust Fund for Victims by outlining what future Terms of Reference of the Trust Fund could look like. It was shared with the African Union Office of Legal Affairs and other key stakeholders involved in the establishment of the Trust Fund in April 2016. REDRESS, in collaboration with eight human rights organisations, has submitted joint observations on the revised General Comment No. 1 (2017) on the implementation of Article 3 of the Convention Against Torture, which enshrines the prohibition of refoulement. The revised General Comment will be a critically important tool for States parties in implementing Article 3, by providing guidance on the full scope of their obligations in relation to the prohibition of removing persons to States where they risk torture or other prohibited treatment. 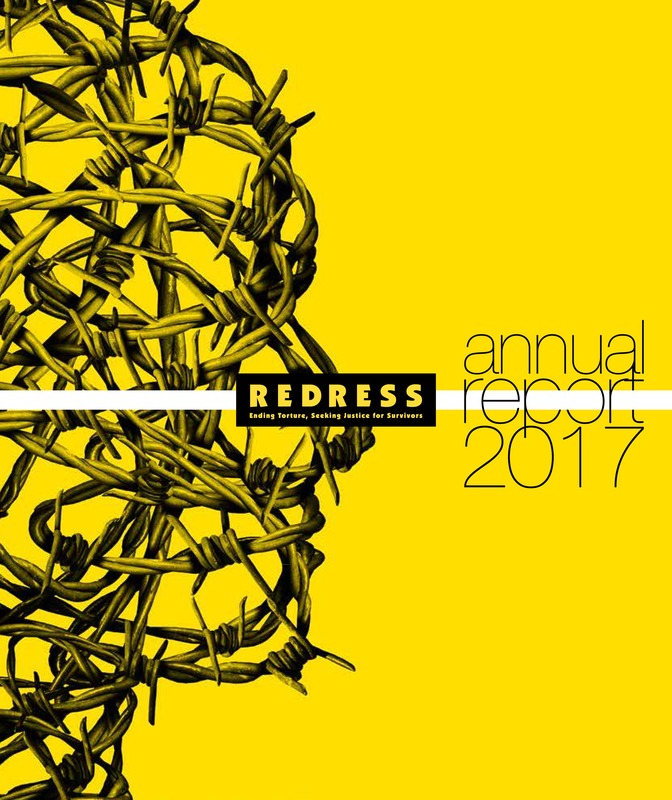 Our annual report for 2017 provides an overview of the work that REDRESS undertook in over 37 countries affecting approximately one thousand individual torture survivors from 1 April 2016 to 31 March 2017. Much of our progress has been made in the face of increasing global and national challenges to the eradication of torture, including the international resurgence of nationalistic and xenophobic regimes, the protracted continuation of various armed conflicts, rising hostility to NGO activity, and the entrenchment of ever more extreme anti-terrorism policies. Despite this, REDRESS has continued to fight for justice and accountability on behalf of our clients this year, aided by new partnerships with lawyers, civil society groups, prosecution services and academics around the world. 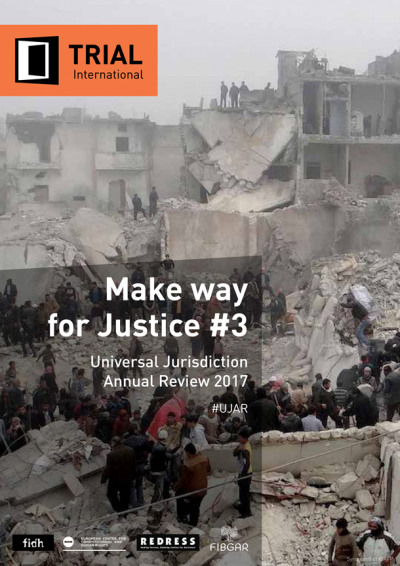 This report, co-authored by REDRESS, TRIAL International, the International Federation for Human Rights (FIDH), the European Centre for Constitutional and Human Rights (ECCHR), and The International Foundation Baltasar Garzón (FIBGAR), looks back on the unprecedented momentum of Universal Jurisdiction in 2016. In 47 cases across 13 States, States implemented Universal Jurisdiction in order to prosecute criminals regardless of their nationality or where the crime was committed, proving the doctrine to be a significant practical tool against impunity in Syria, Rwanda, Nepal, Guatemala, Iraq, and elsewhere. REDRESS calls upon domestic jurisdictions around the globe to seize this growing opportunity to bring justice to the perpetrators of crimes against humanity, war crimes, and torture. REDRESS’ submission to the United Nations Committee Against Torture concerns Bahrain’s consistent failure to investigate the arbitrary detention, torture, and ill-treatment of Member of Parliament Jawad Fairooz Ghuloom Fairooz. Jawad Fairooz currently lives in the UK, where he obtained asylum following his prosecution in Bahrain for charges contravening his freedom of expression, peaceful assembly, and association. He was unilaterally stripped of his Bahraini citizenship. Since 2013, REDRESS has continued to submit detailed letters to the UN concerning Bahrain’s violation of state responsibility in addressing his alleged torture. The Bahraini government must produce evidence to explain his arrest and the brutal detention procedures to which he was subjected.